Posts tagged " sorbet "
Thursday 13 September is celebrated internationally as Chocolate Day – not that most of us need a special day to celebrate this indulgent confection! I was delighted to discover Yorkshire’s long tradition of chocolate-making dating back to the 18th century and associated with chocolate pioneers such as Terrys and Rowntree. The popular chocolate orange, invented in the inter-war years, is now allegedly found in 1 in 10 Christmas stockings throughout the UK. 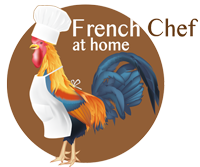 Although I love local artisan chocolate to eat as is, when cooking, French is best! I like to use a 70% cocoa chocolate such as Valrhona which is widely available here. This unique, artisan quality chocolate has complex, balanced and consistent flavours. Chefs throughout the world rely on Valrhona chocolate from the Rhone Valley to give the best flavours and the producer has even gone so far as to open its own cocoa bean plantations. There is quite a process to making chocolate. To flourish, cocoa trees require temperatures of at least 25°C, as well as 80% humidity, lots of rain and shade. The beans have to be extracted from their pods and fermented before being dried, sorted and ground, tempered and poured into moulds. Never take your chocolate for granted! 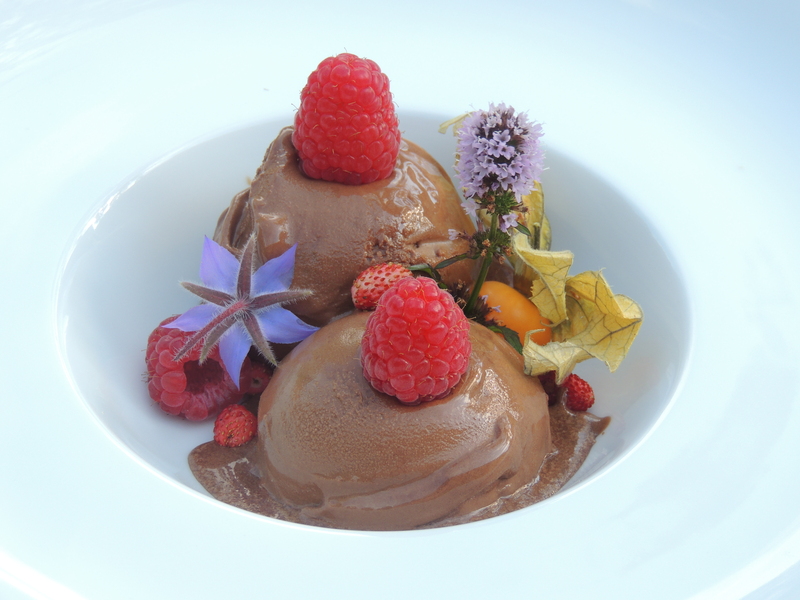 To make the most of it on warmer days, you can’t beat a delicious chocolate sorbet. In a saucepan, mix together the water and the sugar and bring to the boil in order to obtain a syrup. Put the chocolate in a mixing bowl and pour the syrup on top of the chocolate. Mix well and put the whole back in the saucepan and leave to simmer for 5mins. Pour in a bowl, mix well and leave it to cool down. Put the mixture in the ice cream maker and turbine for 10mins in order to obtain the sorbet.